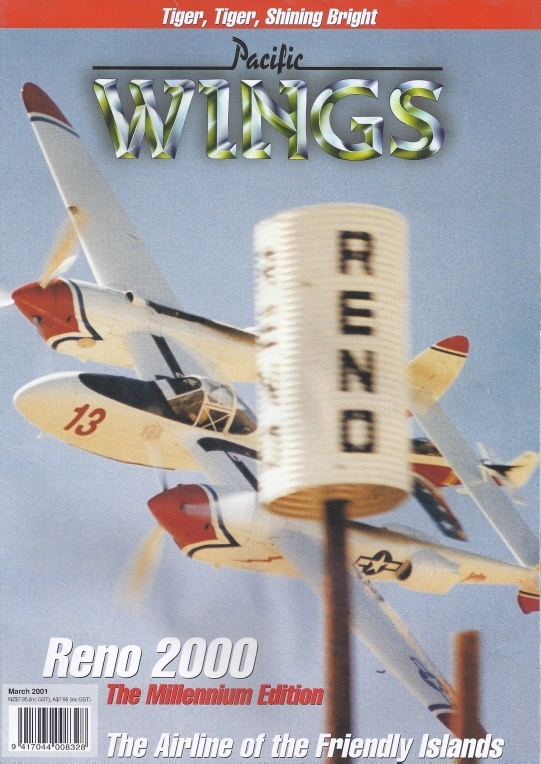 Doug Moulin Reports On The World Of Highly Modified Wwii Fighters And Scratch-Built Racers Slugging It Out Toe To Toe Right Down On The Dec At Reno 2000. Max Pudney Profiles Colin Smith's Croyodon Aircraft Company. Don Haggitt Looks At What Is Believed To Be New Zealand's First Powered Paraglider, Paul Rae's Dk Whisper Gt. Peter Clark Reports On The Biggest Maritime Exercise New Zealand Has Hosted Since The Early 1990S.